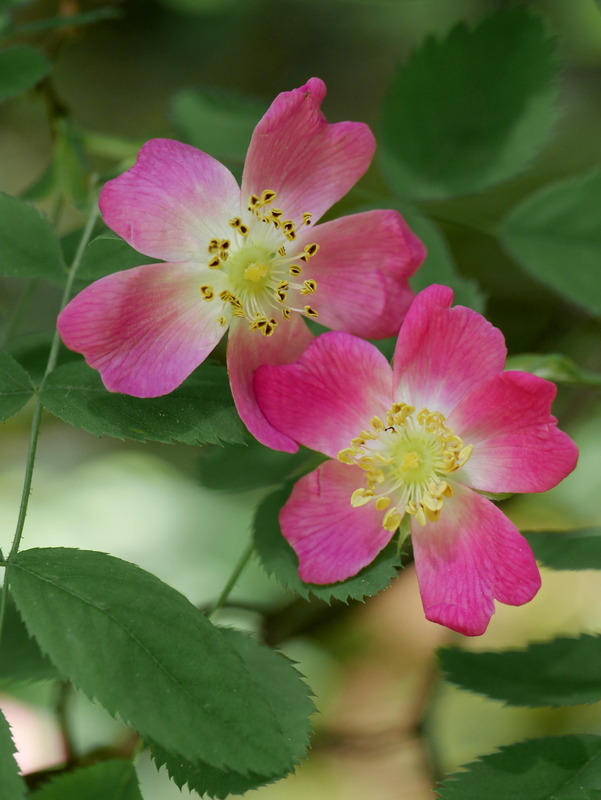 This is one of North America’s smallest rose species and, as such, it is often nicknamed the “dwarf rose.” I prefer the name “baldhip” though. Not only does it sound wonderfully silly, but it also is a direct translation (more or less) of the species epithet, “gymnocarpa.” Well, gymnocarpa really means “naked fruit,” but their fruits are hips and these hips are indeed bald. When the flower is fertilized, its petals and sepals fall off, leaving behind the growing fruit. Most roses hang on to their sepals as their hips mature, making this a reliable feature for identifying R. gymnocarpa. Look for these small shrubs in low- to mid-elevation moist forests throughout the PNW. This little corner of western Montana is their eastern-most range edge!